“`American Film Institute founder and the Kennedy Center Honors creator George Stevens Jr. is adding another chapter to cinematic history by donating hundreds of items spanning several generations of his family to the Margaret Herrick Library and its archive. The Academy of Motion Picture Arts and Sciences has announced that Stevens Jr. will be contributing papers, letters, photographs, and scripts from his life to the Stevens Family collection. “`This public collection of over 600 items will cover everything from his Hollywood beginnings working with his father George Stevens, the legendary director of classics like Woman of the Year. The collection is a film buffs dream, where an ordinary family photo could be on the set of Shane, at the Academy Awards in 1951 when Stevens was nominated for A Place in the Sun, or during the Amsterdam production of The Diary of Anne Frank with cinematographer Jack Cardiff. “`Collection highlights on the movie academy’s website include personal photos of Stevens Jr., including one of him standing alongside, Elizabeth Taylor, James Dean, and his father in Marfa, Texas in 1955 on the set of Giant. There are photos of James Cagney getting an AFI Lifetime Achievement Award, Plus, Sidney Poitier in The Greatest Story Ever Told, his casting of the actor would lead to a lifelong friendship. “`You will also notice Stevens Jr. being sworn in at the United States Information Agency, or speaking with Jacqueline Kennedy. 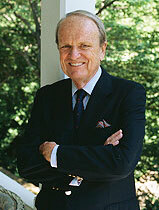 He worked with Edward R. Murrow at the USIA during the Kennedy administration. Stevens Jr. produced the short film detailing President Kennedy’s trips in June 1963, including his famous visit to Germany, and his Ich bin ein Berliner speech. It would be nominated for an Oscar. “`What a treasure trove of Hollywood and American history from George Steven Jr. (above), and his iconic family! 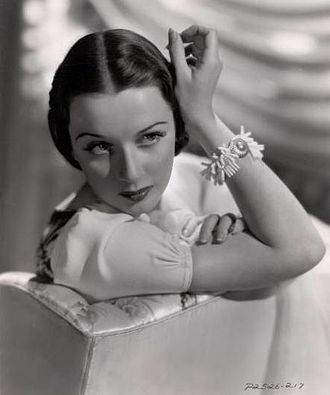 “`Patricia Morison was a femme fatale in familiar films that featured iconic heroes and sleuths, such as The Cisco Kid, The Thin Man, and Sherlock Holmes. When she starred on Broadway, Morison achieved her greatest familiarity as the lead in the original production of Cole Porter’s Kiss Me Kate. Her films roles included Without Love, The Song of Bernadette, Dressed to Kill and Song of the Thin Man. Patricia appeared on stage with Yul Brynner in The King and I. She was one of the many celebrities who entertained allied troops during USO tours of Great Britain. “`Patricia Morison (right) was 103. This entry was posted on Monday, May 21st, 2018 at 2:12 pm	and is filed under Blog by Manny Pacheco. You can follow any comments to this post through the RSS 2.0 feed. You can leave a response, or trackback from your own site.